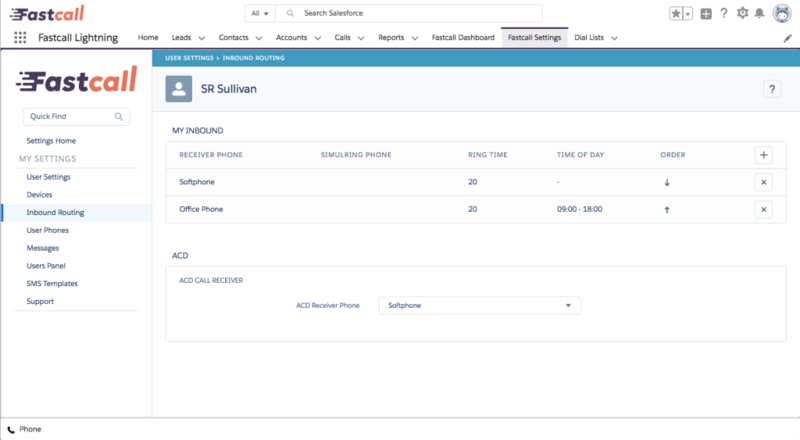 You’ll also be introduced to Auto Call Distribution (ACD). Inbound routing is used to determine what happens when someone calls a phone number that’s assigned to you in Fastcall. We’ve already seen it in in the unit on getting ready to receive calls. Inbound routing covers two types – calls made to a number assigned directly to you, and calls that end up directed to you by an Auto Call Distribution group. Inbound routing allows you to direct calls to devices that you’ve already set up – see the unit on Devices for more detail. See the training unit Receiving a Call for an example of this in action. You can get to your inbound routing settings from Fastcall Settings > My Settings > Inbound Routing. There are two sets of settings, ‘My Inbound’ and ‘ACD’. This displays an ordered list of inbound routes. Fastcall will attempt to connect to each inbound route, in turn, calling it for the specified ring time. When there are no more inbound routes, the call will terminate or go to voicemail depending on your settings. To add an inbound route, click the plus icon. To edit an existing inbound route, click it. To remove an inbound route, click the ‘x’ icon on the right. To re-order the inbound routes, click the up and down arrows under ‘order’. ACD stands for Auto Call Distribution. 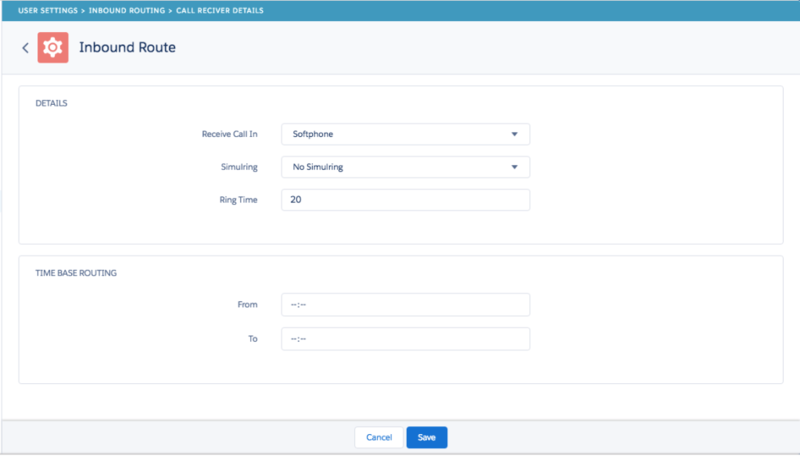 Depending on how your administrator has set up Fastcall, you may be taking calls that are distributed by ACD, for example, if you are an inbound call center operator. The ACD call receiver is the device you use to receive calls that have been sent to you via ACD.